51 years ago, on Thursday, April 1968, Martin Luther King Jr. was standing out at the balcony of his hotel room in Memphis when a bullet entered through his right cheek. King dropped unconscious and an hour later, according to the autopsy report, he passed away. “a person who suffers very much or is killed because of their religious or political beliefs, and is often admired because of it or someone who tries to get sympathy from others when he or she has a problem or too much work”. If we take the perspective of the positive association of the word martyr which is used to describe a heroic figure who despite the personal cost, does what is best for others, I strongly believe that King was a martyr. Many people remember King from his historical “I have a dream” speech which every time I watch – and trust me I have watched tens of times – it gives me the chills. King did a lot more than sharing his dream. In less than ten years, he delivered 2,500 speeches, he travelled millions of miles and he was arrested about 30 times. The life threats for himself and his family was part of his every day routine. They say that the autopsy report showed that although he was 39 years old only, his heart was in a condition of a 60 years old man because of the stress that he had experienced. But none of this activity would make any real sense if it has not led to results; if it was not associated with glorious achievements both personal and for his movement. 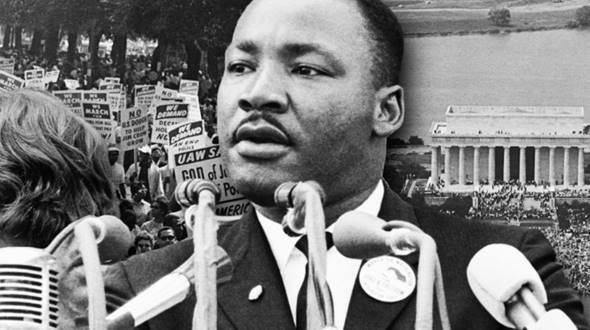 King had an instrumental role in organizing the famous Washington march in 1963 where he delivered his notorious speech inspiring hundreds of thousands of people. He was the first African – American to be named “Man of the Year” in 1963 and the youngest at the time recipient of Nobel Peace prize in 1964. But above all, King’s non-violent efforts led to 1965 Voting Rights Act and he became after his assassination, the symbolic leader everywhere that injustice is met. King gave to the noble cause, first his time and peace of mind, then his health and finally his life. King consciously walked his way to martyrdom. King died for his dream. He died so others can see the dream he had to come true. He died to live in the hearts of people. King never really died. Martyrs don’t die. Martyrs live forever. So is King. 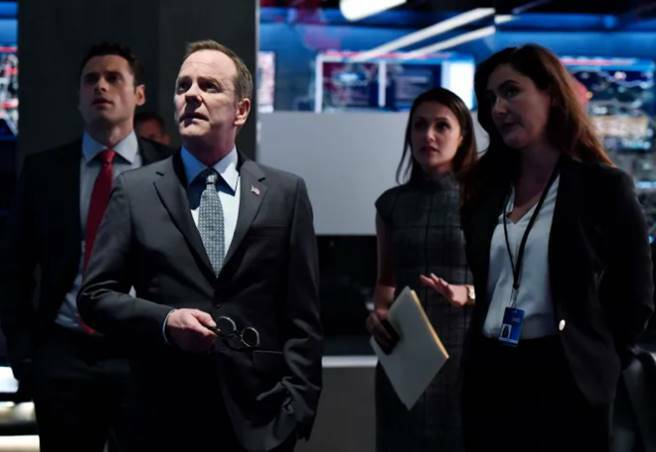 I am watching these days the second season of the Netflix series “Designated Survivor” with Kiefer Sutherland playing the US President Tom Kirkman. In one of the last episodes, there is a cabinet hearing taking place to determine if President Kirkman is mentally fit to continue in the Presidency. His Vice President walks in his office to tell him that the cabinet wants him to continue in his capacity of President. The President who was preparing to step down, is taken by surprise and his Vice President explains the decision, telling him that the reason is nothing but the beyond any doubts loyalty his close teammates have demonstrated to him and ‘loyalty is a consequence of leadership and leadership is a touchstone of competence’. What an awesome line. Had to jump off my sofa, grab my phone and take a picture of my tv to make sure I won’t forget these words. Really brilliant!! 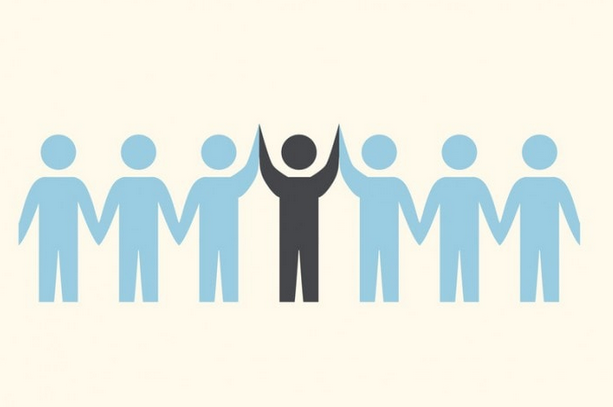 One can probably be born a natural leader in the sense of having an attractive and shining personality which really stands out and gathers people around. Another can probably adopt a persuasive leadership style. You can take leadership training and start using some of the behaviors taught there. We can play leaders and often get by with, convincing people who do not work close with us for our competence. The ones who stay on the surface of things, they attracted by the Colgate smiles and the smart cliché. But how easy this can fly among the people who we work close with? Can we trick those people who get to see us in our good and bad days; people who see our reactions when the going gets tough; people who do not only hear us sharing our ambitious visions but they can assess the way we can make those happen; people who every day have the chance to dig deeper and see under our embellished façade. These people need to see many more things besides a star-personality. These people seek out competence demonstrated in a concrete way. You cannot enjoy the trust and loyalty of your close teammates if you are not consistently a genuine leader and you cannot really be a leader if you have a competences gap. Yes, I cannot agree more than that and I need to write it once again: ‘loyalty is a consequence of leadership and leadership is a touchstone of competence’. Loyalty is not something you are granted. Loyalty is something which you have to gain with your leadership which reflects your competence. No competence, no leadership and if no leadership, no loyalty. Next time, I’m voting Tom Kirkman for President. A couple weeks ago, I saw a friend posting on linkedin the interesting article below https://thriveglobal.com/stories/9-ways-multitasking-is-killing-your-brain-and-productivity-according-to-neuroscientists/ . An article which explains why our brains are not made to do more than one thing at the same time. Few days later, I attended an excellent Ken Blanchard Leadership training. The trainer, a very good trainer by the way, explained again why we should avoid multitasking. Being a little puzzled, I started thinking how a day at work usually is. You meet with your team, you set some priorities. You start working on your share of actions right after the meeting. Then you have a check-in with your manager and she lets you know about a new key issue that came up and needs to be resolved asap. You go back to your desk, you put your headset on and you work on this new urgent priority, listening to some good music on youtube that helps you relax and isolate yourself in the open space you work in. At the same time, you take quick glances at your mobile cause you expect a whatsapp message from your daughter. Suddenly, an important business stakeholder of yours pinges you on skype for business, asking for a favor. He is a colleague that has helped you in the past and you have a great respect for. You immediately respond to him and then you grab a banana, waving negatively to a teammate who is checking with you if you can join him for lunch. Did I describe a weird day at work that rarely happens to you? Did I walk you through a situation that sounds no familiar at all? I exaggerate with the example I chose in above? I doubt it. 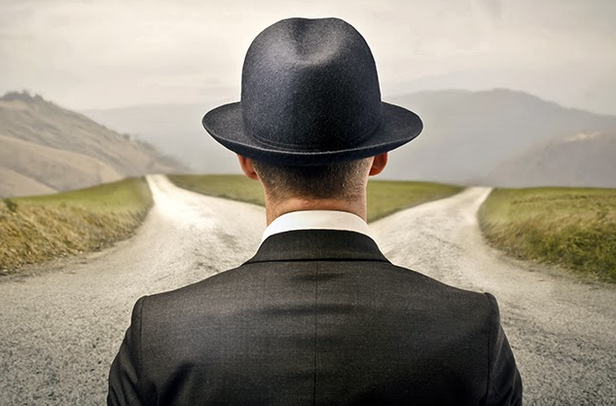 Is multitasking a choice really? Again, I doubt it. This is why although I fully understand and appreciate the research talking about the cognitive overload that comes with multitasking, I choose not to push multitasking back. Not because I am brilliant at multitasking (the case of only 2% of the population after all), not because I personally enjoy it (this is true actually) but because I feel like I have no choice. And instead of avoiding the unavoidable in today’s corporate complex, fast changing and demanding work environment, I choose to embrace and manage multitasking the best possible way for staying efficient and effective. I actually tend to like way better the following article http://www.bbc.com/future/story/20160218-why-multi-tasking-might-not-be-such-a-bad-idea which explains why multitasking isn’t always bad; why multitasking can be fun and feel less of an effort. I was having a beer with a cousin of mine during my summer vacation and the guy was really upset. I tried to understand what was wrong with him to find out that a couple of guests that had just left the room he was renting in an island, had written a pretty bad and unfair in his opinion review on Booking. At first, I was taken by surprise, seeing how much this incident had affected his mood but then I understood. I check out ratings and reviews before I go to a restaurant that I have not been before. Even if I am standing outside a restaurant that looks appealing, the first thing I do, unless I have a friend recommending it, is to get on Trip Advisor and check it out. Check the overall ratings and do some spot checking on its customer reviews. But a lousy dinner will only spoil one evening. A crappy hotel room can ruin your vacation. It is not strange then to see the professionals caring much about the reviews they get in Booking, Airbnb etc. 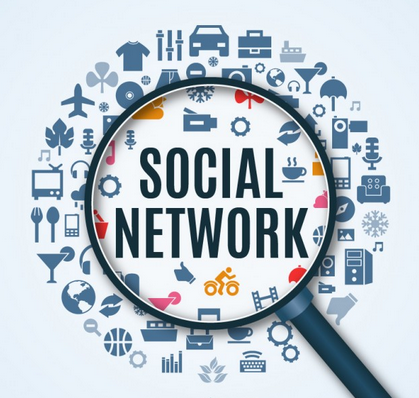 They take their presence there serious and they make sure they create value for their customers for having value showing for their businesses in the relevant social media and networks. You give no value, you show no value. Linkedin is not much different. I remember myself discussing with a friend Executive Search professional ten years ago. It was a period of time that I had felt like changing job and I sought out her help. Her first question and tip at the same time was: ‘how is your Linkedin profile? Make sure it’s right’. Something that I confirmed with many executive search and talent acquisition professionals ever since. They are all in Linkedin, looking for the right job candidates. They check out our profiles, competences, experience, academic credentials and probably reviews and activity. If they see a suitable potential candidate there, match making moves forward. And we all must have the right profile there. Nice but not embellished. A profile that can send the right messages across for staying marketable and looking competitive and appealing to the internal stakeholders of the organization we currently work for or externals. What about Facebook, Twitter and Instagram? They’re not this far from the concept above either. The target group changes. The set up is different but in the end of the day, people that are there are exposed and vulnerable to the direct or indirect critique and recognition. They want to be accepted, followed, liked and they do their best one way or another to be attractive. To different audiences and this is why we see so much diverging behaviors and attitude. Some activity that we might find repulsive, could aim and finally hit right in the hearts and brains of these people targeted audience. And vice versa. In the end of the day, everybody likes showing his and her best self. Social media and networks impact massively the way we’re perceived. They matter big. One way is to blow them off. Can we afford to do so? I doubt it. We go forward in life, hand in hand with them. No matter if we’re professionals or individuals, as long as we’re men and women that we care about the opinion others have for us, we cannot but take social media and networks seriously. But take them seriously enough to get really better. Develop, get better and of course make sure we show there the best of ourselves without faking things. Cause technology and people’s instinct are both too smart to outsmart them. It was about ten years ago when I attended an HR conference in Athens that Damian Hughes was speaking at. He literally fascinated me referring to the concept of “Future History”. 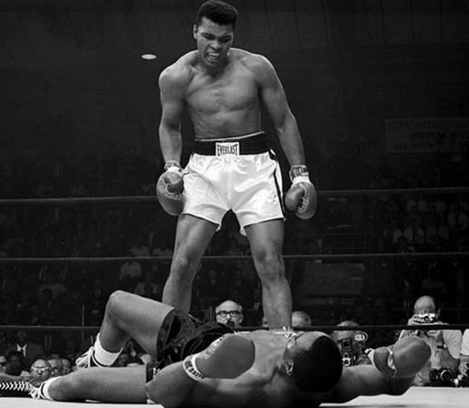 He told us that Muhammad Ali had made 19 public declarations about the round that he would knock-out his opponent and he got it right in 17 out of 19 times. When he was interviewed once, he was asked how come he managed to do that. And he explained that long before a fight, he would weight his opponent’s strengths and weaknesses compared to his, he would set a goal and then he would prepare to make it happen. He would prepare to make his future history. He would play the day of the fight to come over and over again in his mind. He would vision himself walking in the ring, hearing the spectators cheering for him, smelling his opponent’s sweat, seeing his opponent in the eyes, throwing at him the perfect punch. He would make future history every time. Damian shocked me that day. He shocked me because he confirmed that what I was doing with my life (a life a lot simpler and humbler that of course has absolutely nothing in common with that of Muhammad’s) was in the right direction. When I was in my late teens and before I head to the States to study, I was visioning myself doing things as a student, walking around the campus, meeting with other students, doing sports, sharing apartment with friends, graduating. And I flew over determined to make everything happen. And later, when I was a rooky sales rep, I visioned the day I would head the sales of a company. Being responsible of my accounts, getting good bonuses and appraisals, sharing this with my parents making them proud. And I worked hard to make this happen. And before major presentations, I would vision and play in my mind the presentation or speech to come, again and again. I would vision myself walking in the auditorium, seeing the audience, cracking a joke, hearing their warm response, delivering and finally enjoying their clapping and positive feedback afterwards. This visioning together with the preparation and hard work to make the vision happen, is the key success factor for making future history. Otherwise is nothing but silly day dreaming. But there is another critical thing to bear in mind. The noted hostage negotiator and author George Kohlieser in his book “Hostage at the table” stresses the importance and necessity of seeing things with the “mind’s eye” and focusing on the positive outcome. But he goes one step further and he warns his readers for the danger of doing things the other way around, focusing on the negative outcome. George Kohlieser says: “People can lose control of their lives and experience a sense of hopelessness and frustration because they are focusing on the wrong things – probably what they want to avoid or what they have lost.” You fall this way in a self-fulfilling prophecy. 30 years, in the beginning of my professional career, I was part-time bartendering for helping my income. I was about to start working for a new club and the day of the grand opening, I dreamed that I walked in the club and the owner asked me to work at the side bar that was mainly passing drinks to the waiters and not at the central bar that we had an agreement for and it was a lot more fun and had better tips. We argued and I left the place and never came back. I kept playing this dream in my mind all day long. I don’t know how many times I saw with my mind’s eye myself having a rough conversation with the club owner. Later that day, when I walked in the club, believe it or not I saw him asking me to work for the side bar. And from then on, I did nothing but making my dream true. Everything. Less or more consciously, I led a conversation that was exactly the same with the one in my dream. So was the outcome. A negative outcome that I had visioned and I had made it happen. We read insightful books and articles every day. We listen to great speakers. We pick up concepts that suit us from various sources. We note them down, we try to apply them, we share them with others. If I have to select one and only one that I love the most that would be: see things with the “mind’s eye”, focus on the positive outcome only and make “future history”. This is how you make your history. This is how you are not just part of others’ history. Muhammad Ali would have never allowed this. He said once: “if you even dreamed of beating me, you’d better wake up and apologize”. My home country Greece is living a nightmare. Last week’s wild fires, killed 88 people and many more are missing, making everybody believe that the number of victims will end up being a three digit one. Sheer tragedy that left us with many question marks. Were we prepared? Was there a plan? If yes, could the plan be applied better? Should they have asked for an evacuation way earlier? Should the Greek government claim responsibility instead of making up excuses? Would things turn out to be different if every one of us was more responsible in the past? I certainly don’t have the answers to those questions. But I know one thing. I know that in a nearby area, the Scouts of Greece had tens of kids camping in some wholly owned property. Before they were asked to by the authorities, before they were left with no other choice, they made the quick and wise decision to call evacuation and leave the place immediately while their management was openly and constantly communicating with the kid’s parents and not only. And the moment they resolved their own issue, they right away started helping the greater community and the victims of the wild fires. 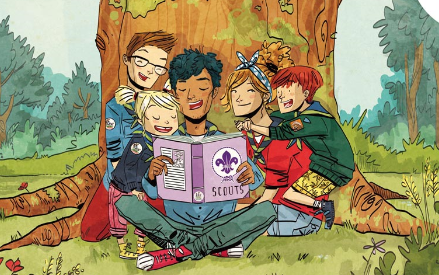 Today, I saw a communication referring to eight different points in Athens that people interested in providing voluntary work, can join the Scouts and do that in a safe and structured way. The name of the game here is responsibility, discipline, plan, preparation, transparency and leadership. Duty to Others – be responsible, care about others, help others, help the local community, help your country, the world and have respect for the nature. Duty to Self – continuously develop yourself throughout the lifelong journey, maximize your potential, extend your abilities and capabilities. Be a better person. Duty to Others and Duty to Self are two principles that link with each other. Two interdependent principles that support each other. You have to develop your own potential for servicing the best possible way the community. And you have to help others and treat them with respect for having them by your side in the turbulent life journey. This is what Scouts learn and experience since they are seven year old kids. This is how they develop Self-Leadership. You cannot lead others unless you have first developed “inside-out” leadership. Unless you have learned to work on impacting positively your health, your career, your family, your relationships. Self-Leadership is what young Scouts experience in every single session, activity, event, excursion, camp. And this is the key component for Leading Others in the future with maturity and responsibility. To close the loop on this, although I will provide no direct answers to the questions I initially raised, I will suggest a benchmark against Scouts, and work on the fundamental principles of Duty to Self and Duty to Others. Those will help us develop Self-Leadership that is the fundamental stepping stone for Leading Others. This is the Scouts way to set themselves free of the learned helplessness and take control over their life and future. This way, we will make more responsible and mature citizens and those citizens will set the scene for having mature and responsible Leaders. Some friends might be seeing me nagging for a second say in a row about the same thing. This is because I could not make time to blog about it yesterday and I rushed into making a brief post on facebook right after I ended a presentation I was attending. But let me take it from the beginning. I was attending a presentation that had to do with communication. I know it is a little oxymoron but the presenter, the communication expert, had a major communication skills gap himself. He did not articulate one single sentence that did not include at least a couple of long and annoying hummm fillers. I was so much distracted that without meaning to, I could only hear his hummm. Five minutes later, I lowered my speakers. Ten minutes later, I literally disconnected. Could not take no more. I switched off, left with few big unanswered questions. Why young and promising professionals do this to themselves? Don’t they see that they need to develop their presentation and public speaking skills? How come they don’t understand that if you want to get your message across, either for business or personal purposes, you need to speak right? Isn’t it clear that you cannot go far if you are a lousy communicator? Hummm will convince nobody and it will only help you get on the nerves of the people you speak to, wasting often good content and hard efforts. They must do three simple things: Train, Prepare and Rehearse. You may argue that it is easy to preach others when you don’t face the issue. But I really believe that everybody can improve. Everybody can find his and her way to improve putting time in preparing and rehearsing again and again. Trying different tricks. Speak faster maybe or the other extreme, speak slow and fill in the gaps with pausing that adds a dramatic tone and emphasis. Whatever. Whatever it takes to improve. I know we cannot all speak like Demosthenes or Pericles. We neither can deliver inspiring dream speeches like those of Martin Luther King. And you know something? We don’t need that. We don’t want that. It is not necessary. What we need is to communicate in an effective and efficient way that will help us come across neat and clear. But this comes with work and definitely not by humming the hell out of the people you speak to. The King is dead. Long live the king. This could be a fine and catchy title for describing the death of powerpoint and the rise of storytelling, the new talk of the town. I read few months back an interesting article in Independent with title: “Let’s ban PowerPoint in lectures – it makes students more stupid and professors more boring”. And today I heard that Jeff Bezos, CEO Amazon, banned powerpoint from meetings, asking his people to use informative and inspiring stories for communicating. Back in the 70’s, we knew nothing but good old lecturing. Speakers, I intentionally chose the word speakers and not presenters, would read tens of pages. The most gifted ones would rely less on their notes because they knew their speech by heart or mostly by heart. The vast majority of speakers though, despite the good quality of content, they could hardly avoid not putting their audience in sleep. Then, overhead projectors came in and got adored in the 80’s. First, presenters would have to try out their calligraphy and depending on their competence, the result would range from excellent to hilarious. One key task for presenters was first to prepare their transparencies, then to keep them in the right order and finally to put them on the projector straight. Laser printers helped things out a little. But they turned a push/pull media into push only, depriving presenters from interacting with their audience. And then the rich 90’s came together with PowerPoint. Everybody, being a little computer literate, could make fancy slides with color, sound, spectacular entries, funny cartoons, you name it. Everybody changing the font size, could fit in so much stuff in one slide only. Everybody could copy paste easy and insert later in the new millennium, even videos. That was real impressive. Needless to say that the aesthetics of every individual never stopped mattered and thus although technology did enable presenters to do superb things, the result was often poor and unattractive. But the particularly interesting thing is that even the most elegant powerpoint presentations, often they had their Achilles heel. Because the more technology was progressing, the more powerpoint features were increasing and improving the more powerpoint was turned into a straitjacket. Unless the presenter was using other resources like flipcharts and storyboarding or insightful questioning, powerpoint itself was an one way communication thing. Powerpoint did not allow on the spot creativity and improvisation. Powerpoint did not facilitate interaction with the audience, questioning and answering that gets people engaged in. Presenters were limited in dropping bullet-points and reading text, making the audience start thinking “hey, I can read too. I don’t need you mate!”. It took us 40 years to only change the way of downloading data. It took us 40 years to change the way we would put audience in deep good sleep. Thank God, more and more people stand up and raise their voice today against the crazy bullets downloading and the silly videos bombing, encouraging their peers to just start telling their story. To start speaking to their audience hearts and brains, being narrative. 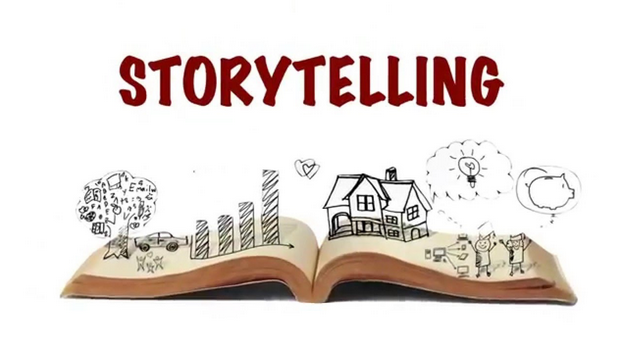 Story telling is the new King. But you know what? Story telling was always the King. Story telling reigned when those serious old fashioned lecturers were managing to make each one in the audience, even if it was hundreds or thousands of them, to believe that the speaker was looking at them. Story telling reigned when some speakers, usually politicians, could pick up a catchword from the audience and repeat it, achieving the right integration and persuasion. Story telling reigned when overhead users would give life to their transparencies, daring to ruin their ready made cute pack of slides for underlining, circling words or adding data that they pulled from the audience and shutting down the projector for adding a powerful story. Story telling reigned when skilled presenters with charisma would use powerpoint bullets as a bone only for putting around the flesh with their eloquent stories and combining probably with the use of flipcharts and white boards, pulling from the audience and achieving a two way communication. In other words, the problem was never the media we use and the resources. The problem starts when we let those tools use us, letting our support media be the King. We are the Kings. We do not need to ban technology. We have to use technology. But we have to use it wise and go out and tell our story. A story that would persuade, inspire, motivate and enlighten people. A story that matters. Back in the 70’s when I was a kid, one of the things we were spending too much time on was board games: Monopoly, Stratego and Snakes and Ladders were among the most popular ones. The first two required more time and I should admit that I loved a lot more. But working in the corporate world for almost three decades, Snakes and Ladders is the game I cannot get out of my mind. If we bring in mind the ways we navigate throughout our corporate career, it feels like we continuously play Snakes and Ladders. 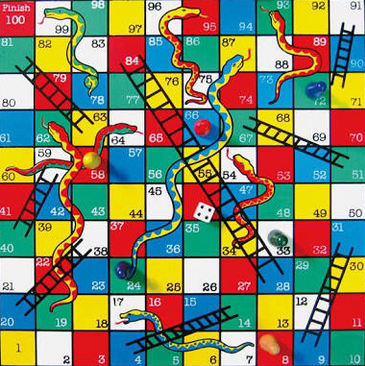 A Snakes and Ladders that if we compare with the game we were playing when we were children, has both similarities and differences. 7 The board game is made so we have the same number of Snakes and Ladders. Again, not the case in real life. 10 The board game has one winner only. Few competitors and one winner. Working on our career, we mostly compete with ourselves and this game can have multiple winners. We have to leverage on our Ladder-self of ours, leave behind the Snake-self and make sure we are one of the many winners. Is it winning or finishing that matters? I see so many smart quotes around every day, talking about stamina. Trying to inspire people, get them motivated and make them persevere. They often use running metaphors for getting their message across. They refer to marathon, saying that it is not the win that matters but to finish it. I am afraid that in real life, finishing things is good but not enough. It is actually good for kids cause their effort needs to be rewarded but slightly risky for grown-ups. I love an older motto of Timberland ‘If you’re not fast, you’re food’. Yes, winning does matter. C’est la vie! I like being realistic without getting cynical. I will rephrase then. Winning is key. No doubt from my side. However, I can accept not winning under one condition. And this condition is not “finishing”. Finishing with not sweating or having your hair parting line untouchable same way that James Bond comes out of a movie destruction scene, helps none. I call this loafing. I can accept not winning, even if you do not finish if you have given it all. If you have run your very best. If you push to your very limits. If you have no more to give. This is what I tell my 13 year old daughter every time she participates in a race. She is always a bit nervous. I sense she fears my expectations. And I make always clear to her that I don’t give a damn if she ends up first or last as long as she gives all she’s got. When this happens, we have a clear win that is worth celebrating it. Recently, I wrote on leadership, having in mind a specific non-profit organization that I am involved in since I was a kid. Today, thinking broader, I want to blog on leadership of a successful modern organization. After all, I really see no significant differences between profit and non-profit when it comes to the components needed for achieving success. Because every modern organization that wants to move forward and succeed, needs to have 5 key elements that lead to Mature Leadership and eventually bring the desired organization success: Values, Action, Innovation, Stamina, Respect. Values – something that never really changes and cannot be subject to different interpretations. A concrete organization is founded on concrete values that are demonstrated every day and they are not only part of fancy vision and mission statements and elaborated brochures. Action – that is based on a vision that everybody in the organization shares. This is the one and only way to get people motivated and truly mobilized. Only then the organization is in action and motion and in a performing stage. Innovation – a healthy organization that wants to have a “tomorrow” needs to be disruptive and innovative today. Should pave the way and create opportunities. Should function on the edge of technology. Should learn from the past and act in the present, having the brains and eyes in the future. Stamina – a word I adore. Stamina that has nothing to do with being stubborn or narrow minded. Stamina, meaning long term thinking and planning, consistency, endurance, hard will. Stamina in terms of showing energy and freeing the energy of others. Respect – for the organization itself, for every single member of the organization. And of course self-respect. This way we reach Mature Leadership that should not be confused with grey hair and forehead wrinkles. It has nothing to do with age. It has to do with behaviors only. Mature behaviors. Have leaders that are humble, ask for and respect the opinion and feedback of their teammates. Make no steps backwards, stepping on things that others built in the past. On the contrary, have the intelligence to think strategically, act tactically, build bridges, bypass obstacles and move forward. Have the life experiences that toughen you and make you capable of handling crisis and overcoming hinders. Be good hearted, showing the necessary emotional intelligence cause as Tom Peters has said “Love them and Lead them”. Values, Action, Innovation, Stamina, Respect that make Mature Leaders who are achievers and can bring in success for the organization. You have it all there. The downsizing of major western corporations is the unfortunate result of today’s poor economic conditions, the shrinking market and the severe competition from Asia. The Growth KPI is replaced by Profitability and companies reduce drastically human costs. A top executive of a major telecom giant said recently “We need to take care of the ones leaving. But we also need to do something for the ones staying”. I loved this line. I particularly loved this line because us in Learning are among those that can do something for the ones staying. Can do a lot actually. We can help them to diversify themselves, develop skills, change behaviors, be more competent and get more competitive. Learn for Learning – There is no doubt that competent learning consultants, know how to assess their “customers” learning needs, make solid learning plans, monitor those, evaluate and report back. No doubt that in most cases, they are focused and dedicated to their learners’ development. I am wondering though, how much we care about our own development. This should be the starting point: us. It is us that first should change, grow, develop. Show everybody that learning could and should be an objective of its own and role-model the attitude of Learning for Learning. Get Digital – If Learning for Learning sounds like a nice to have thing, the digitalization of learning is a must have. Cost cutting policies, time constraints, changes in the way people learn today or tomorrow, knowledge sharing trend, need to be mobile and at the same time the rapid evolution and friendliness of the various virtual learning platforms, make the adoption of either synchronous or asynchronous on-line learning, an imperative. We need to get tech-savvy. We must pioneer digital learning and move forward. Otherwise, we will be left behind. Together with us, our learners will fall behind. Or they will seek for ways to move forward on their own. Be flexible – Few decades ago, every corporation would decide on its own which training vendor to work with. Later, for good reasons such as scale economies and standardization of learning, the concept of global preferred training vendors was adopted. I fully support that. But we need take into account the local needs, be flexible and listen to people. Good to have a ready-made hi-quality buffet but it would be even better if we find ways to accommodate a-la-carte learning interventions. Flexibility is key. If we really want to do something for our people, we should first start from within. I believe this is a dilemma that many trainers often face, consciously or unconsciously. Be a nice guy, go with the flow, make the participants like you and in the end and give you high evaluations? Or challenge them, give them tough feedback, get them off their comfort zone and push them to learn? Tell, after the training, their management what they want to hear embellishing things or get transparent and give a frank view of the situation? Tough dilemmas never have easy answers and magical recipes. When I first got into training, back in 2004, I chose to be the nice guy that participants would like. I remember me delivering a sales training program to a major Greek bank. In the end, 12 out of 12 participants evaluated me with 7 in a scale of 1 to 7. It was the launch of a major roll-out and the HR Head was there to open and close the training. Participants were happy. The HR Head was happy. The CEO of the consulting firm I was working for, was happy. And of course, I was happy. Everyone was happy. When the HR Head saw the evaluations, with her eyes wide-open she asked me “how did you do this?”. I did not answer the question. I only smiled in a humble way, being consistent with the “play nice guy” approach of mine. Deep inside me, I knew what the answer was. I was easy going with people, very much gentle, took advantage of the breaks for building personal rapport with each one of them. I delivered the right training right. But I had put so much energy and time in “being liked”. The more I was understanding what training is really about, the more I was developing my facilitation skills, the more confident I was feeling, the more I started re-directing and re-allocating my energy and time. The more I started caring less about being liked. Instead, my focus was to gain my participants’ respect for the good reasons I was getting paid for. For them to learn and develop. I started demanding their full engagement in and my feedback started getting fair and accurate, reflecting their real performance. Of course, I never stopped being careful. The idea is to trigger cognitive dissonance, get people off their comfort zone, make them really reflect, move, change and finally develop. Not to demotivate them. So, I made sure my tough feedback was always backed up with and relied on concrete facts and arguments and always sandwiched. Bad news should always be sandwiched between good news. When it comes to management, sometimes the outcome is such that you can communicate things the way they are and still have everybody happy. In some other cases, breaking bad news is inevitable. I never chose to break bad news to people that had no interest in listening to those. In other words, I never chose to play Don Quixote fighting the windmills when nobody would care about. But in the cases that management did care and asked for my feedback and reporting, I would be there. I would be there to discuss lack of knowledge, competence gaps or even attitude issues that are always more difficult to tackle. But I would avoid starting this with a dry email. I would always ask for a meeting. There I would fill in management with the information needed, having always two things in serious consideration: first, help individuals and organization move forward, having solutions to propose. Secondly, give feedback remembering that the participants’ performance is nothing but a snapshot and I might have a perception that does not reflect the reality. You do not gain others’ respect unless you show them respect. So, the information that I would exchange with management was always two way. I would ask my questions too, for understanding what their job performance was like, compare notes and come up with conclusions. No easy answers. Said this from the beginning. But it is worth doing our best to be respected trainers and not nice guys, pretending we train a group of people that pretend being trained. This is neither productive nor fun. I admit that sometimes my ‘professional obsession’ makes me way too observing, picky and demanding when it comes to presentations and public speaking. I can hardly avoid getting bored or even being annoyed when I see experienced professionals having a negative impact or driving to failure an event with high potential or some crucial sales presentation, hurting their organizations, their teammates and actually sabotaging often their own hard efforts and work. What does an effective presentation need to have? We need to use right the right visual aids, convey a strong and clear message to the point, demonstrate authority, project ourselves with confidence, be persuasive and at the same time memorable, respond to questions appropriately and handle difficult audiences right. We can easily come up with a long list of tens of ingredients that will allow us to deliver the qualities in above. But in the end of the day, everything falls into two key components: Preparation and Energy. make good slides or know how to make good use of flipchart and storyboarding? kickoff with a good story? have good notes that will make us feel safe? know our presentation this good that we’ll be hooked off our notes or slides reading? rehearse and have feedback for making the necessary tweaks? assess in advance the audience needs? be ready with the basics at such level that we can focus on polishing things during the actual presentation? trigger an engaging and supportive body language? dress up our story telling? vary our pace and tone of voice, having our audience constantly staying tuned? make use of facial expressions that will show empathy? prevail in and control the space, projecting authority? fascinate the attendants and make them leave and talk about us for long? Preparation and Energy are the two key components that we cannot afford missing any of them if we want to deliver a persuasive and at the same time engaging presentation. I had imagined this post a lot different. 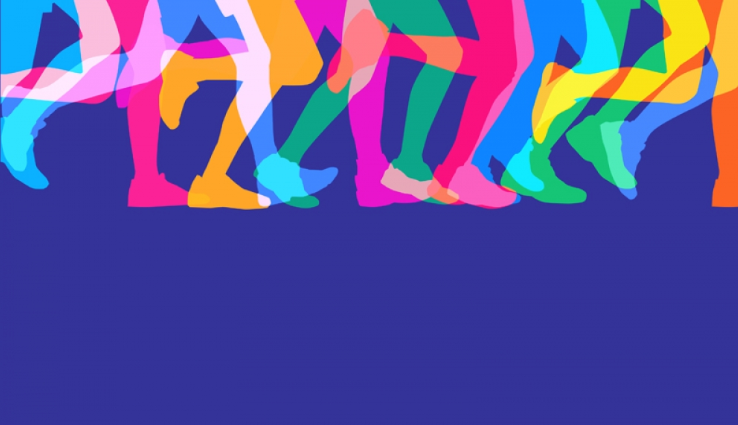 Keeping a log of the running activity during my preparation for Paris Marathon, the idea was to write two stories where in parallel to the marathon prep, I would examine a key sales deal of a major account. That would give me the opportunity to discuss the similarities when it comes to successes, failures, drawbacks, restarts and in the very end, finishing the marathon and wining the deal. But things turned out to be way different as I made the decision to give up on my goal and not run Paris marathon next week. It was not an easy decision to make after practicing for roughly half a year, 17 long runs, few hundreds of kilometers and tens of anti-inflammatory pills and vitamins that I sucked in to keep strong and get going. An issue with my hamstring three weeks ago, got me off practice for ten days and I never managed to really get back in track despite the hard efforts I made. Perseverance and stamina are the virtues I have always admired the most. Conceding defeat is not pleasant and it is not me. I love being challenged. But on the other hand, challenging is one thing and suffering another. And I strongly believe that we owe to ourselves to be self-conscious enough to tell what our capabilities and limits are. What is a go and what is a no go. A friend of mine called this wisdom. I will call it common sense. Talking sales (cannot resist not to), doesn’t take common sense too, to go back to a customer with our solution bundled differently or de-bundled? Don’t we step back sometimes, seeking for another account entry or sponsor? Haven’t we partnered with a competitor before, shrinking this way our share, for securing a deal? Can’t we compromise with a part of the initial greater RFP for managing to enter a new critical account? I do believe that all those are wise moves made for a good reason. Yes, I blew Paris Marathon this time. But I refuse to see this as a defeat. I see it more like a tactical retreat. I will train better and I will set smarter goals next, making sure they fit in my caliber and I will come back stronger. Talent versus Skills: which one you value more? Last Saturday, I was struggling to finish a challenging 22km run in the rain. I was desperately looking for something to focus on, so I can stop thinking to give it up. I remembered that a friend had asked me to write about the eternal dilemma: Talent vs Skills. My mind travelled 30 years back in 1987, when the National Basketball team of Greece won the Eurobasket Cup which must be the biggest sports achievement of my country. Perhaps because it is the very first one in team sports. Fanis Christodoulou was one of the protagonists. Golden medalist in 1987, Silver medalist in 1989, won the Greek Cup in 1991 and the Greek League in 1998. He was drafted by the Atlanta Hawks in 1987 but be decided not to leave Greece and he was candidate for FIBA Hall of Fame. The guy was natural. He could play all 5 positions. He would score 3-point shots, he would pass, making his teammates always praise him for his support and he would be the best defense player. When he was playing, I would forget where the ball was. I would have eyes for spotting the positions he would take for screening or freeing himself or winning an offensive fault. He was brilliant in the court. Outside the court, it was another story. He would avoid morning practice, he was a heavy smoker and his biggest enemy was the weight-scale. But his affluent talent was enough to make him succeed and be considered among the top Greek basketball players of all times. We all wonder though, what he could have achieved if he had worked harder developing his skills further. 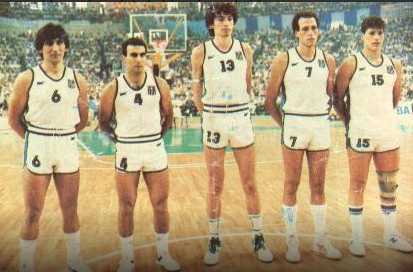 Argyris Kampouris was the one that scored the critical winning free throws a couple of seconds before the end of the second overtime of the final with Soviet Union in Eurobasket 1987. He was not a starter though, if I remember right. Or at least, he would not always start. He lacked the moves. But he was a humble, disciplined, hard working guy that took good advantage of his 2.07 m (something real rare in Greece thirty years ago) and being the right time at the right place, he made a noticeable career. I would like then to add a third factor in the equation: Timing. Timing, including the right environment that may give people the opportunity to grow, bloom and shine. Panagiotis Giannakis, what a legendary athlete. The captain of 1987 team. The only one that won the European Cup as a player and as a Head Coach (in 2005). The guy had the whole package. A natural talent that was loading the opponents’ baskets from his teens, a hard worker that never stopped developing his skills, at the right place the right time. But he had one more thing that really characterized him. His incredible stamina. His strong will, determination and perseverance. He would never give up till he wins. Maybe this is why his nickname was “Dragon”. There we have a fourth valuable element: I will call it Stamina. Panagiotis Fasoulas, the so called “spider” was also drafted by Portland Trail Blazers in 1986 and he played for North Carolina State University when the famous Jim Valvano was the Head Coach. I happened to be in North Carolina back then, studying in a neighbor college and I remember that Panagiotis was struggling to make it. He was too skinny for the NCAA standards and his performance was quite poor. But he worked hard, he took good advantage of that year and he developed. As a result, coming back to Greece, he was one of the main contributors in the legendary 1987 Eurobasket Cup. He also won several times the Greek Cup and the Greek League and he made the FIBA Hall of Fame in 2016. It would be a blasphemy to say that he had no talent. He did have but that was not his biggest strength. It would be wrong to say that he had no skills or stamina. But again, those were not his biggest strengths. Of course, he had the good timing. His biggest strength though was his brains. His intelligence. Something that made him succeed inside and outside the basketball courts, becoming the Mayor of the City of Pireus. One more crucial success factor to add: Intelligence. To wrap it up, in the dilemma Talent versus Skills, I say that neither one or both together are enough if we are talking perfection. Natural talent needs to be followed by skills that get developed by hard work and they both need the right timing and environment to bloom and intelligence so they can be managed right. I left for the very end the main man. The guy that changed Greek and I dare to say European Basketball: Nick Galis. FIBA’s Hal of Fame in 2007, world’s 10TH best athlete in 1987 (all sports included) and winner of 15 trophies in total as a pro basketball player. No wonder why another legend Drazen Petrovic said once: “If I’m the devil’s son, then Galis must be the devil himself”. Nick had everything: Talent, Skills, Timing, Stamina and Intelligence. All five in one. Those inspiring memories and thoughts kept me great company during my long run, helping me to finish it. I forgot all about the annoying rain and I improved my current pace. After all, it is awesome to run together with Fanis Christodoulou, Argyris Kampouris, Panagiotis Giannakis, Panagiotis Fasoulas and Nick Galis. Immediately, few questions popped up in my head: Did I not experience all those skills in the Scouts? Did I not have the chance to practice, model and role-model myself every single one of those skills MCE is talking about? Is there anyone that put few good years as a kid, teenager or young adult in the Scouts, in a wholehearted way, that did not grow competences that paved his or her business future? I was thirteen years old. We were planning a ‘city-game’ where every scout-patrol (a group of 5-7 children 12-14 years old) would be on its own. It was up to us to decide whether we would wear a scout uniform or not. I never liked much the uniform. So I had a major task: persuade others to go with our civilian clothes. Not an easy task, given that I was neither leading the patrol nor I was the second in command scout. So, I did. But going to tell our Scout Master what our decision was, I found out that I had achieved the ‘Second Class’ distinction and I could put my new badge on and carry a knife (thank God, this tradition is over). Immediately, I had a new task. Had to go back to my teammates and change their mind. Now, I had to find good reasons and strong arguments for influencing them in a way to change our decision and do the activity with our uniforms. Hilarious, but I made it. Do not ask me what my new arguments were. The important thing is that I was once again persuasive enough. That was nothing but a little funny sample story. I could remember several. I could recall tens of public speeches in special events or camp-fires, meetings that we were negotiating for funds and cases that I was resolving conflicts or I was part of the conflicts that some others resolved and I learned from. Youth is not easy. Leading others is never and nowhere easy. People have different needs, perceptions, aspirations, agenda. But in the business world at least, employees earn their living and often they put up with things. They compromise. Maybe, they are not really led, but at least they get managed. But this is not the case in the Scouts where people are volunteers that you have to engage with, inspire and lead. I was 19 years old when I was asked to lead our Cub-Scouts camp. Not an easy thing, being responsible for the nutrition, health, entertainment, learning and safety of about fifteen kids 7-11 years old. Although, I was an outgoing young man, the stress of the new role beat me. I disconnected from my teammates and I tried to prepare everything on my own, doing a thorough and impeccable job. So I thought. The result was to have a lousy camp that my peers were not engaged in and I got exhausted. A year later, leading (not managing as I pursued the previous summer) the same team, but having shared my vision, having planned things with them, we were all engaged in, fully aligned and we experienced two weeks that none of us has forgotten. Neither the kids that participated in and today are 40 year old men and women. Lesson was learned. When I was a freshman in College, I had to take a BASIC computer programming language. One assignment we had, was to write a simple program. First thing that crossed my mind, was to write a program for calculating the total quantities of food needed to be purchased, depending on the dietary program, the number or participants and the different meals during a scout event. Something that I had learned to do with my little calculator and pencil since I was 15 years old and we were supposed to be self-governed and autonomous, without expecting things by our Scout-Master. It is really upsetting to hear people saying that in the Scouts you get used to to sleep away from home, you get less picky when it comes to your diet, you learn how to use the compass and they teach you knots and lashings. In the Scouts, you do a lot more. So much more. You learn how to lead self. You learn how to lead others. You learn how to lead an organisation. And last but definitely not least, you learn how to lead self, lead others and lead an organisation, having values, keeping your principles and demonstrating ethics. You learn how to scout your way in life. We are few days only before the year end. Fingers crossed, we are about to enjoy the harvest of our investment in time and hard work. What comes next is relaxing time with family and good friends for charging up our batteries. And then 2017. Next year that we need to start thinking of and planning. Of course planning starts with assessing our current status; understanding the existing situation; our strengths, weaknesses and hinders. Before this critical milestone, I thought I should share with you all, the thoughts of my friend Petros Kavazis, a fine young professional. 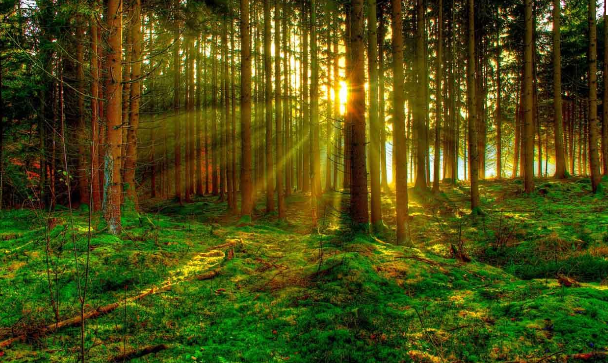 “Often we hear or use the phrase can’t see the forest for the trees. Why is it difficult to see the forest? Why is the tree there at the first place and how does it make things difficult? Should we cut it, like Alexander the Great did with the Gordian knot? The “trees” are small things which don’t let us focus on the important ones, the “forest”. Live with it: This is the most passive approach, but it doesn’t need any resources or time. You learn to live with the problem and move on. Try to fix it: Many before Alexander the Great tried their luck with the Gordian knot. This approach surely makes you better, more ingenious but doesn’t lead to success. Also, it takes time and effort so you lose focus and can’t see the forest. Cut the knot: Alexander didn’t seem to care about the detail, just for the next step. This way needs will and courage but surely there is no distraction from keep watching the forest. Three ways that we are supposed to use smart, situationally and at varying degrees. Three ways for clearing our forest view and paving the way. 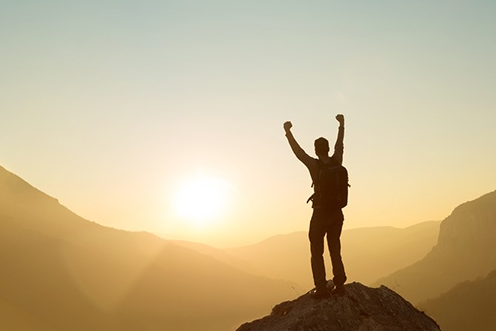 Three ways that will chip in having a great year ahead. The fear of public speaking is one of the very top phobias. I read the other day that 70% of employed Americans that give presentations, say that presentation skills are critical for career success and 20% of them say that they would do anything to avoid giving a presentation. They could pretend they are sick or have a colleague do it, even if that means “losing respect” in their workplace. I remember myself many years ago, back in the high school days. I would rarely raise my hand to ask or answer a question and when I was daring to do so, my heart would turn into a beating drum. But there has been too much water under the bridge and things have changed fortunately. The very first tool that helped me tackle my issues was feedback. I was about 18 years old and I was delivering a speech during a scout event. I was breathing a bit heavy till I heard an old lady from the audience telling my Chief that was sitting next to her: “this young man speaks good”. That positive piece of feedback, put me in a virtuous cycle. It made me not to be afraid of practicing (the second valuable tool) public speaking and presenting. And the more I was practicing the more I was getting positive feedback and the better feedback I was getting the more I would be the first one to volunteer on every occasion for presenting. A virtuous cycle that has not ended still. 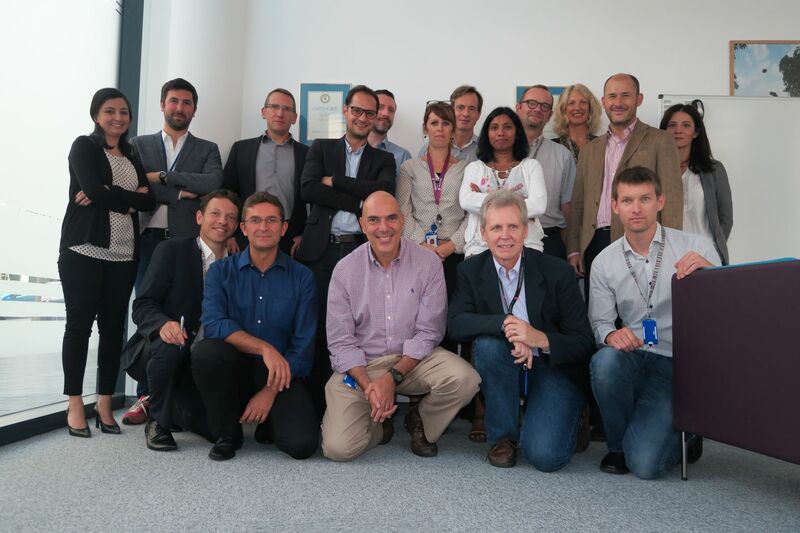 This is why I supported and actually led the initiative to kick off Toastmasters Club in Ericsson France. Toastmasters has those two key components: Feedback and Practice. Toastmasters gives you the chance to practice public speaking, be open to feedback without debating it and learn how to give fair, accurate and good natured feedback. Toastmasters helps you develop presentation skills, meeting skills and of course leadership skills. I will keep you posted on this fascinating journey that we just started. George talks sales. Usually, this is the case. I like telling you sales related stories. This time, I feel, I strongly feel like making an exception. It was 10 years ago and I was visiting England for attending a Train-The-Trainers program. One of the evenings, I went out with my co-trainees for Indian food, “must” when you visit the UK. The company was quite multicultural. Two English, out of which one had lived more than ten years in Jamaica, one Italian, one Finn and of course a Greek. It sounds like the beginning of a joke but it is not. If I remember right, it was those days that English cops being oversensitive with terrorism, they had shot down for no good reason a young Brazilian with hood in the underground. That incident made us start discussing terrorism, immigration, integration etc. One of the Englishmen, not the one that had lived in abroad for long, shared with us a story that I will never forget. It was the 70’s, he was going to elementary school and he was invited to the birthday party of a classmate of his. That kid was a second generation Indian. My friend and his mom arrived, knocked on the door and they faced a huge and unexpected surprise. His friend’s mother started crying, thanking and kissing his mother for bringing him to the birthday party. Why? Because it was the only pure English kid that made it to the party. A couple years ago, I traveled to Madrid on business. It was supposed to be a day trip only but I needed to spend a night there because of a strike that the French control tower had. The Airline I was traveling with was a mess and I had to wait in a three hours line before I get settled with my next day’s flight and my hotel accommodation. Next to me, I had two young ladies that I found pretty interesting. It was obvious that they were both French with background from Maghreb (they were actually from Algeria as I confirmed a little later). One of them was very modern. She was dressed like a typical young western girl. The other one was apparently more religious and traditional with her head, legs and arms, all covered. They did not seem to be really related. The modern one was only helping the traditional that had to manage with a little kid and a baby. It was my opportunity to ask everything I would not dare to ask a colleague or a neighbor. So when I started chatting with the modern one, I asked her how come a young, second generation girl that was born in France, chooses to dress like this. I also asked her how come a young man chooses to dress himself in a way that he actually gets self-discriminated. Who would hire somebody that is such a bad fit in? Her answer was the following: “I chose for myself to be modern. But I fully understand them. They make a conscious choice. They often get with themselves stricter and more traditional than their parents. Sometimes, they choose to do things that their parents who were first generation Arabs, were not doing. And you know, something? Maybe they are right. Probably, it is good to be afraid of you. They value you only when they fear you”. Recently, I was chatting with an Algerian colleague that is splitting time between Paris and Algiers. Usually, I am very discrete with colleagues, avoiding hot issues. But it was a relaxed moment after a long training and over a glass of wine. I felt like opening up a little and I tried, once again, to get answers for all the questions that have been bugging me. We discussed for long and she shared something that I found very interesting. She shared with me that people like her have an issue to integrate and fit in everywhere. French consider them Algerians. And Algerians consider them French. That made me remember an incident at my elementary school, 45 years ago. We had a “new kid in town”. A Greek refugee from Istanbul. One day, for some reason that I cannot recall, he pissed me off. The first thing I did, was to call him “Turk”. I told you my stories, but I will let the conclusion to be yours. Are you planning to host a business event? The weather is nice, daylight lasts long, customers count days or weeks before their vacation and they all are in a pretty good mood. Perhaps it is the right time for a business event. A business event that takes an investment by you and your company, money, effort, energy and time wise. It would be really a pity not to maximize the return on such investment. But in order to achieve that, you need three things: Planning, Planning and Planning. What is our key event objective and the message we need to get across? Who we need to invite? How can we make people first sign up and then show up? What should be the balance like between talking business and being sociable? Whom we should network with whom? What is our guests’ expectations? How can we be aligned better with those expectations? How can we measure how successful the event was? Have we taken feedback and testimonials? What needs to be done for ensuring that business leads are followed up right? Good luck with Planning, Planning and Planning. Few years ago, whenever I would feel like meeting with or presenting to a customer, I would head to the airport, texting my manager on the way to. Things are changing though. Technology evolves, money shrinks, travel is limited. Now, many companies are shifting their internal and external meetings, presentations, trainings, conferences to virtual formats. But this is an unusual and quiet different way of doing things that puts off the comfort zone even presenters that have been charismatic and experienced in a traditional, face to face environment. Presenters are unfamiliar with the new set up while at the same time they need to manage with an audience that has a million good reasons to be distracted. No eye contact, whatsapp messages keep on coming, colleagues lync-ping them, managers wave to them that they need them, the mobile is vibrating. Do the presenters give it up? No they go on and they finish off things, delivering a poor presentation that half of the people attend half of it and both presenters and audience put another “empty” check in their delivering and attending history. Is this the way we want things to get done? How could we do things a lot better and deliver an impactful and engaging presentation? Ask for feedback and value the feedback you get. Good luck with working on Real Skills for Virtual Presentations. You prefer travelling by Train or Coach? Excuse my love for playing with words some times. I don’t really mean to find out what your preferences are when it comes to choosing between train and bus for business traveling. My question actually refers to Training vs Coaching in regard to developing our sales people. When I left the cubs for joining the scouts (only few years ago…LOL), I was quiet lost. My scouts group was about to participate in a big regional competition of simulating a scout camp. Every patrol-team would be on its own and there were twenty patrol-teams competing in total, out of which five patrol-teams belonged to our group. 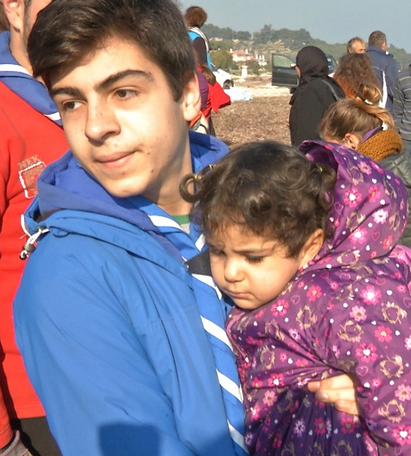 Kimon, our scout leader, informed us that next Sunday, we would go to a neighbor park for an intensive training. We pretty much spent the whole day learning there. Kimon and his assistant leaders taught us all kinds of different scout knots and lashings. First in paper, then in real and in the end we all had the chance to practice again and again and take feedback, and ask questions, and get the right answers. It was a true training boot camp. I left very much content. I went home tired as hell and crashed out. Next day, I was confused. Different ropes, structures, knots, all mixed and messed up in my head. Stratos, the patrol leader, an experienced scout about 15 years old was going to a school nearby my home. I waited for him outside school and when he finished, I told him directly how I was feeling and my concerns about my performance. Stratos told me “not to worry George. That is why I am here. Yesterday, you learned all the basics. We have two weeks time left. Together, the two of us, we’ll be meeting a couple times a week for getting things clear. When we go to the competition, you will be ready. You will be up to speed. I guarantee that. By the way, Kimon is informed. We discussed it already”. What was more useful, you think? The training provided by our scout leader or the coaching I enjoyed pairing up with Stratos, my patrol leader? What is more useful when it comes to business and developing our sales people? Training or Coaching? We actually need to use both. We have to use both Training and Coaching. Simple because they are not mutually exclusive things. On the contrary, they are complementary. We need a subject matter expert trainer who has the right personality, authority, knowledge and intellectual property. A trainer to drive and control the process and transfer the necessary new knowledge, skills and behaviors. But if we want to ensure reinforcement, application and implementation, we need a coach. We need a coach who can use a hands on approach and can leverage on his coachees new knowledge, skills and behaviors. We need a coach that can keep his coachees from shifting back to their comfort zone when they first start stressing and stretching. Training and Coaching are two awesome tango partners that only together can guarantee a smooth learning journey end-to-end. But I haven’t told you what happened to that competition. Our patrol won the third place and I was way too proud of the elegant shoe-rack I built with my bare hands, wood sticks, ropes and my stable knots and lashings. Training and Coaching paid off. Any breakthrough technology is usually followed by super-optimistic statements bragging about the upcoming e-dreams, technophobic laggards that are terrified and resist like crazy and at last a fair compromise and good balance between the technological “miracles” and the ones that are really useful and make sense. There is no doubt that technology can help in creating new knowledge, developing skills and changing behaviors. But it should not be treated as a substitute. We don’t and we shouldn’t want it to be a substitute. That is because technology cannot copy interaction and motivation that is crucial when it comes to developing skills and changing attitude. Traditional training is still necessary whenever high level of personal participation is required. However technology faces no issues with providing new knowledge. Electronic learning can do that fast, easy, at low cost and often in a fun way. Webinars that replace classroom training, e-library, web learning material and lessons and assessment tests. A load of stuff that somebody can have easy access to, at own time, place and pace. A load of stuff that help learning, prepare learning and reinforce learning. What’s the main benefit? Flexiblity. What’s the secondary – still crucial though – benefit? Participants have time to think. They have time to process information and reflect which is a great advantage whenever cognitive participation is needed. Learning management platforms that look a lot like skype that we are all familiar with allow the interaction between participants and instructor. We can have the audience breaking in pairs, small teams and individuals going to virtual meeting rooms for participating in various exercises, roleplays and simulations. 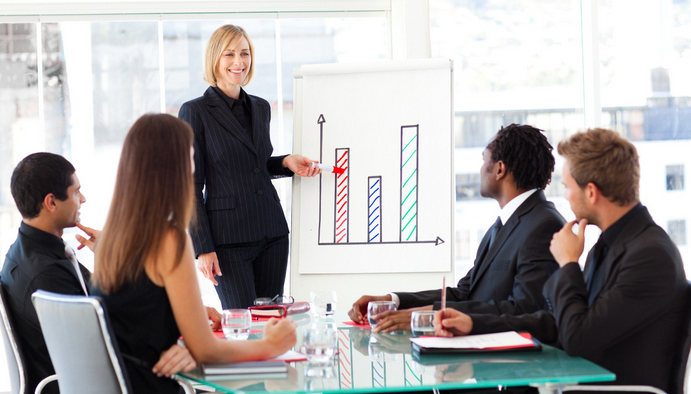 The instructor can easily lecture, present, observe, coach and provide feedback to the group(s) or the individuals. What is the main difference between synchronous virtual training and traditional training? Instructor and participants are not in the same physical space. On the contrary, trainer and trainees can be in different rooms, cities, countries, time zone, season of the year. This way, an organization can save drastically time and money, avoid complex logistics and achieve a quick rollout if necessary. On the other hand, it is not the best solution neither when we need time to reflect nor when we want to plan and make decisions. A mix of traditional learning and asynchronous e-learning tools can be very effective. For example, somebody could start with web learnings that participants can have easy and flexible access to, for preparing themselves before classroom training. Similar web learnings could support the post-training process for reinforcement purposes. And the participant can self-customize his/her training path, focusing in areas that he feels weak and he needs help with. The asynchronous tools can be also taken good advantage of. We can use them for launching the entire learning project before or for coaching/mentoring purposes after, helping implementation. Managing blended learning activity that makes use of asynchronous tools can be very challenging for the trainer. Often, it requires the involvement of a producer – a second trainer that can handle technology so the lead trainer can focus on his trainees. Trainers need training. They need to learn some things almost from scratch. Good performers that rely on their body language are called to learn new tricks and play with their voice. Questions had always been a useful tool. Now, it is a necessity. In traditional training, you can ask a question and get your answers by checking out the body language of your audience. You can even push them to answer through staring at them. This is not the case in a virtual classroom. I will repeat it once again. Trainers need training. My initial question was wrong. There is no such dilemma as what is the best method of learning. The debate is when, why and how we select each time the most suitable means of learning for achieving our objectives and answering the learning needs of the targeted audience. We must embrace technology. Technology is here to stay, it evolves and we need to evolve too and keep walking along with. We have another opportunity to develop, to change, to learn, to get better and jump in the future. As Alvin Toffler, the noted writer and futurist has said: “the illiterate of the 21st century will not be the ones that cannot read and write but those that cannot learn, unlearn and re-learn”. In training, the goal is nothing but making others to learn. Different trainers have, and should have, different style, depending on their own culture. Different audience requires different treatment. Different industries have different codes of learning. Therefore, although it is very difficult to talk about success recipes, there are some basic principles that do facilitate and support the learning process; they do make things easier for learners. You don’t know everything? Good, chill out. You are not supposed to. You are there to help the learners to learn how to learn participating in training activities. You are there to help them reflect. You are there to make the necessary links between classroom and real world. That takes what? During and after every training activity, trainees have to be encouraged and given the time and tools to reflect and you have to facilitate this key process, teaching them how to think more effective. Do you have the big picture in mind of where you want to take your trainees to? Do you know their profile and needs? Do you know what their expectations are? Do their expectations match with yours? Observe what is going on. Check out carefully their body language and facial expressions. But do not rush in speculating on those. Remember that different people often have different background, nationality and culture. You cannot come to safe conclusions unless you see things in a broader context. Look for discrepancies between what you see and what you listen. Keep having in mind the big picture and help the participants do the same. Listen like you never listened before. Listen to understand the way participants learn. Listen to get the messages your audience wants to get across. Listen to spot concerns, objections, fake acceptance, lack of attention and bad attitude. Listen to their answers so you can ask the right questions, clarify things and summarize. Have a plan but be ready to throw it in the garbage. Keep up with the pace and follow the way your audience thinks and functions. What matters is your learners to learn how to learn and not you to be pleased because they learned through your successfully planned learning process. Remember that off-plan learning can be equally effective as long as you manage to link training activity with on the job reality. Efficient is good. Effective is better!! Trigger tension and direct their attention in different, and why not contradictory and conflicting, views. Focus in clarifying and working out “blurry” areas. See those as learning opportunities that you have to take advantage of and not learning obstacles that you should avoid. If you are worried about their progress, tell them. But never pick on individuals in the plenary. Do not bring them in a difficult position. Praise the individuals and criticize the group. Avoid opposing an individual. If you make him look like your victim, they will all team up against you and then game is over. Spot your sponsors and make them your ambassadors and agents of learning change. Have humor but have always in the back of your head that you are trainers, not entertainers. Getting in control is good. Being way too dominant is wrong. Juniors might need to hold their hand during the learning journey. A mature and senior audience should be given more freedom and allowed to take initiatives. Help the participants to reflect and make the necessary links between your and their contributions. Ask everybody to respect everybody. Be the first to show respect. You have no reason to be dogmatic. After all you share new knowledge and skills and maybe some research insights, not the Bible. However, there are things that are non-negotiable. So make sure you balance right. Use silence. Use silence to give emphasis and time to reflect. Care about your learners. Show them that you really want them to learn. They will pay you back!! I just got back from a Negotiation Skills Train-The-Trainer program. It was the eleventh TTT I would attend and once again I was stressing in the beginning. It was a busy period in general, lots of things to prepare on for the specific training and of course it is the delivery and assessment elements that always raise the level of stress. Although most of the times I had good trainers to deal with, this time our trainer was quite different, distinct and unique. It was the very first time that I left the training room eager to teach the program; eager to share my learnings. What made the difference? Why this guy was so different? What made this trainer so charismatic? What were the skills and qualities he demonstrated? He started creating a ‘safe’ learning environment. We all felt like we were there to learn and not to be assessed. As a result, we all were ready to jump in and deliver various modules with neither fear nor reluctance. He was able to tell us what to do better and how to do it better and he went one step further, modeling the ‘clear path’ as he liked saying. He was constantly explaining and demonstrating training and facilitating regardless of whether he was on a teaching or a modeling mode. He was in full control of the class using his ‘quiet power’ without impacting the personal relations and rapport that he directly or indirectly carefully worked on and built with each one of us in or out of the training room. He showed remarkable passion and energy although it was a draining four day training that would start at 8 o’clock every day. This way, we had the right speed and pace throughout the entire training. He did not stick with negotiation skills’ program only. He went way beyond, above and underneath, putting flesh to the program’s content and teaching us training and facilitating in overall. He demonstrated the strengths of this program; something that made us true believers and ambassadors. He demonstrated training qualities that made us love our job even more than before. He demonstrated leadership qualities that had an impact on our personal development. Speaking in front of a group — no matter how big or small — can be stressful. Preparation is key, of course, whether it’s your first or your hundredth time. From preparing your slides to wrapping up your talk, what should you do to give a presentation that people will remember? Don’t you love people being this creative? A colleague asked me a little while ago, if I have any business insights related to last evening’s bitter match. 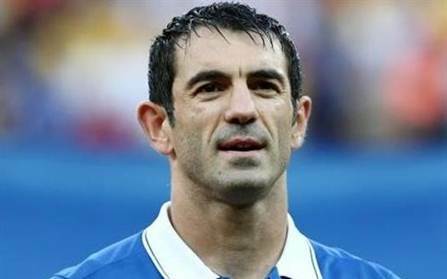 Last night’s match was a very special one for the Captain of National team of Greece, Giorgos Karagounis. Giorgos has scored 10 goals with our National team and he is one of the two players left from the team that won Euro 2004. It is worth mentioning that he was with no team two years ago since he had not come to an agreement with Panathinaikos. He joined Fulham FC and after a great year in the most competitive league, Fulham renewed his contract although he was already 36 years old. Last night, Giorgos, at his 37 years and 139th participation, he ran 13.62 km while the second best ran 12.89 km. But besides this little lesson of PERSEVERANCE, he gave another one of TEAM SPIRIT. When a journalist repeatedly tried to pull a more personal statement after the game given the fact that it was his very last match with the national team, he avoided talking about himself. He insisted in talking about the TEAM using 1st plural only. Critical to maximising the effectiveness of learning is to offer: timely (immediate) clarification (so that the teacher can continually choose the appropriate rate of progress to maximise learning without leaving students in a fog of confusion); “on the hoof” diagnosis of gaps in essential prior learning (so that the teacher can revisit and build the required foundations of necessary); immediate responses to feedback from the students… etc all of which requires an intelligent, responsive delivery – however it is delivered. Great contribution Goerge, your voice is reasoning while reading this words..is this vCoaching? you are welcome . I thank you for the ideas you have shared. Food for thought .